Awesome ziplines, an aerial bridge, tree platforms and 2 tree houses keep 'em thrilled for hours! Soar through the treetops while learning about the tropical forest. Our 6-Line Treetop Zip Tour ascends high up into the trees where you will cross aerial bridges and take a plunge on our new 42-foot high QUICK jump following your third zip. Your adventure continues as you explore our Pirate Ship Treehouse and climb back into the trees to zip three more lines through our beautiful tropical forest. 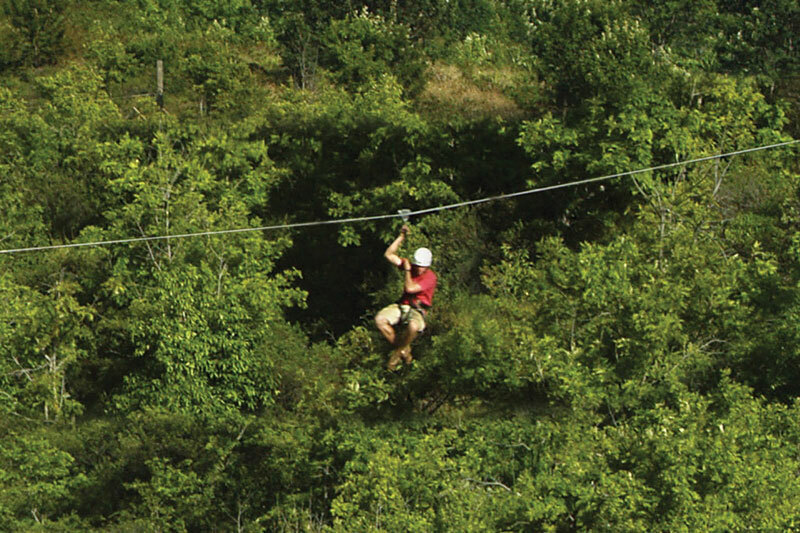 Your tour finishes with our longest treetop zip-line at 930 feet! 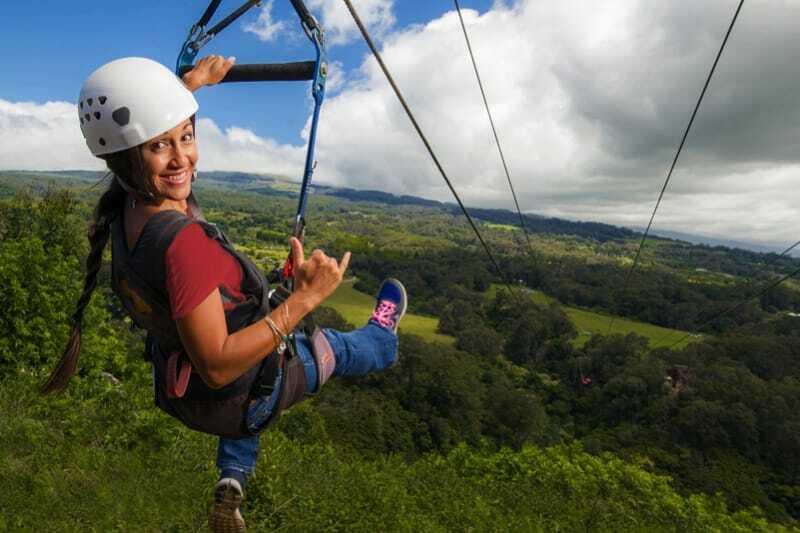 Our 7-Line Treetop Zip Tour begins as you soar high above the Kahakapao Valley from tree to tree. You will experience a flying sensation as you swoop down into the valley, sail through canopy tunnels, and land at our Pirate Ship Treehouse. Your journey features 7 different treetop zip-lines ranging from 175 feet to our longest treetop zip-line at 930 feet! A grand finale that's sure to give you the thrill you're seeking! Adventures are close to parking and check-in areas, and tours all end near their start, so no need to hike or be transported long distances. All ages from 8 to 98 are welcome! If you need to cancel due to illness or medical emergency, we will require a doctor?s note from a local Maui doctor/clinic in order to process a full refund. In high winds or other adverse conditions, we reserve the right to cancel or reschedule tours, based on management?s assessment of conditions. We will reschedule your tour or refund up to 100% of the tour price if this occurs. Refund amount may be based on proportion of tour completed. Don?t forget your camera! Make sure it has a strap for safety. Anything dropped on tour is gone for good. Don?t bring purses, backpacks, or large fanny packs; they won?t fit with your harness and we have no place to store such items. If you have kids under the age of 8, there is unfortunately little to do at the zipline except sit at a picnic table. There are horseback lessons at nearby Piiholo Ranch (minimum age is 3) or a nice park about 4-1/2 miles away, it?s officially called the 4th Marine Division Memorial Park. It has a large grassy field and picnic tables. Great experience - went with my two daughters (12 and 8), and we all had a blast. I was particularly impressed with the emphasis on safety. Guides were awesome. This was the best thing we did during our two weeks on Maui. We chose the six line treetop zip tour and we loved the experience. The zip line tour was fantastic ! The guides were incredibly knowledgeable, had our safety primarily in mind, but were also a TON of fun! They knew the best photo ops and were more than willing to help us take pictures of our amazing adventure. They knew tons about the local wildlife and pointed out animal life and scenic locations to keep and eye out for as we zipped over canyons and rivers. Would highly recommend to anyone! 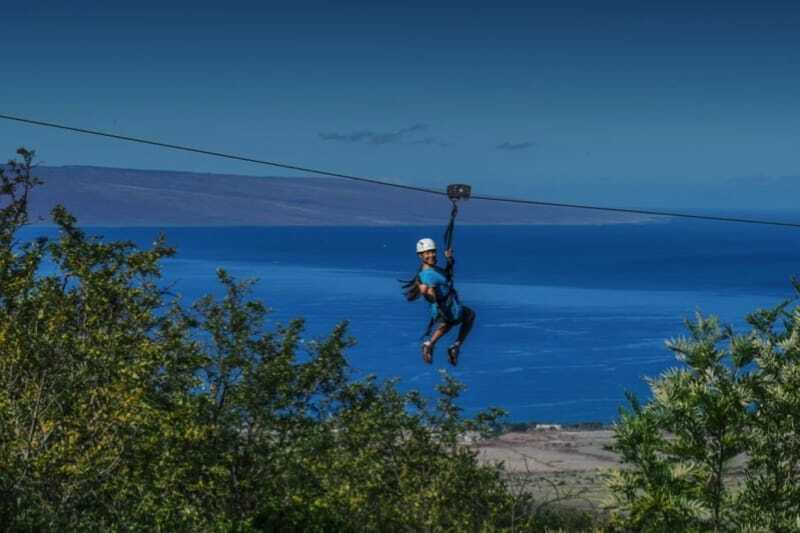 Fantastic company, such a fun thing to do on Maui!! Please check in 45 minutes before your scheduled tour.